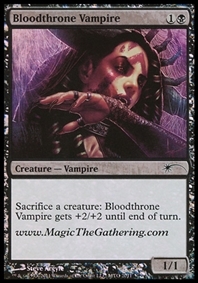 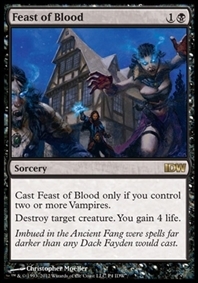 Cast Feast of Blood only if you control two or more Vampires. 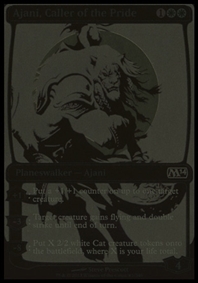 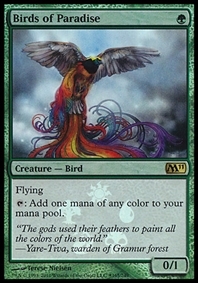 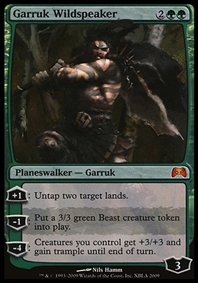 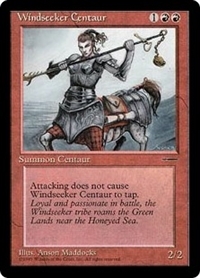 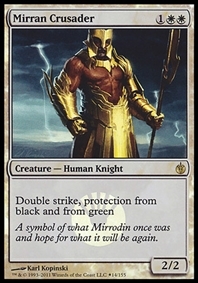 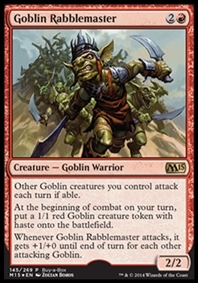 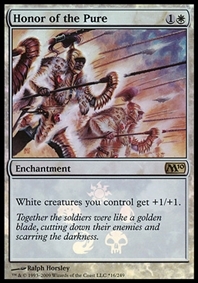 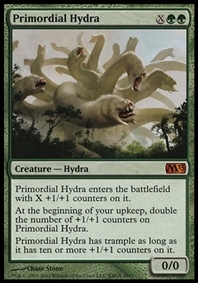 −1: Put a 3/3 green Beast creature token onto the battlefield. 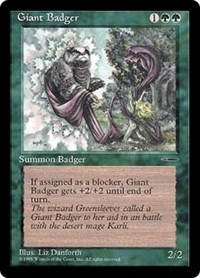 Whenever Giant Badger blocks, it gets +2/+2 until end of turn. 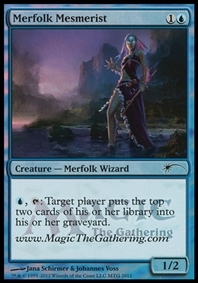 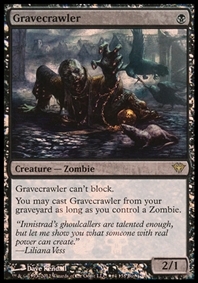 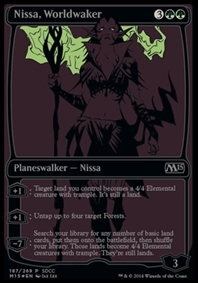 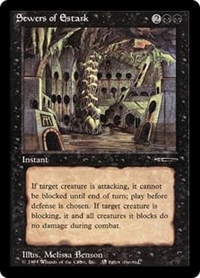 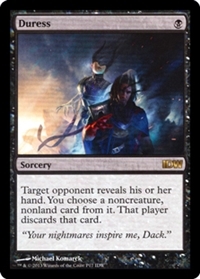 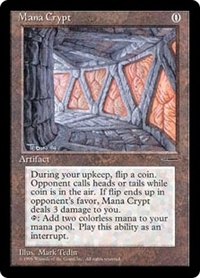 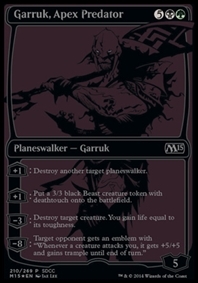 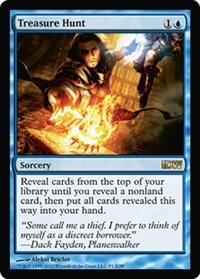 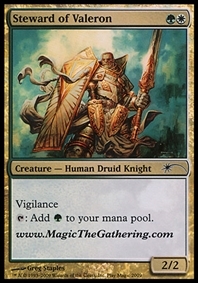 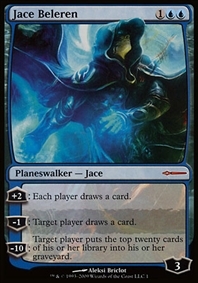 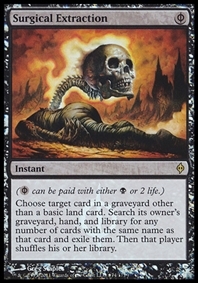 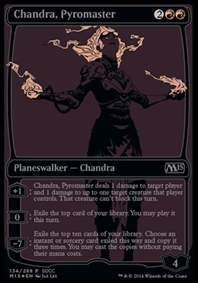 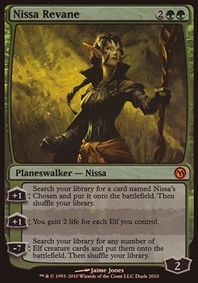 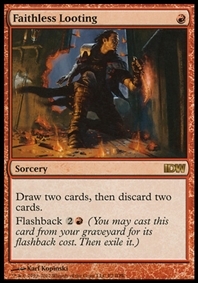 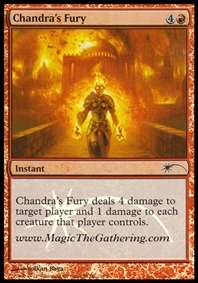 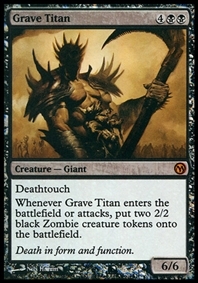 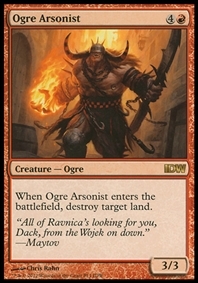 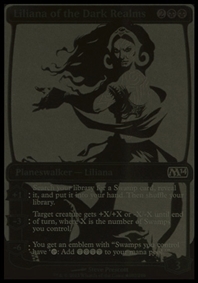 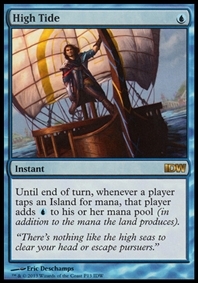 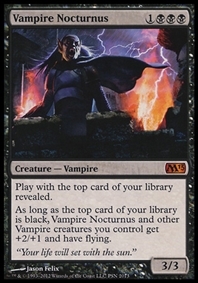 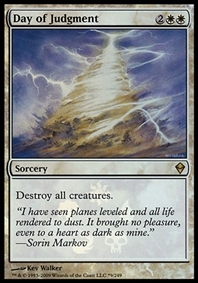 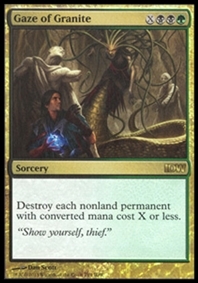 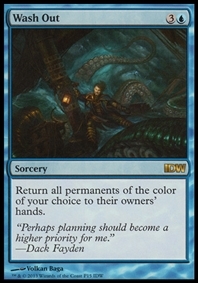 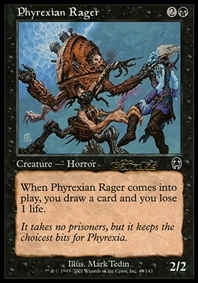 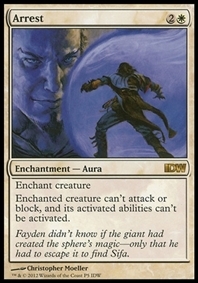 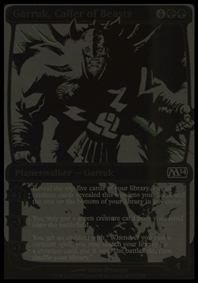 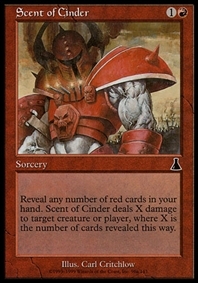 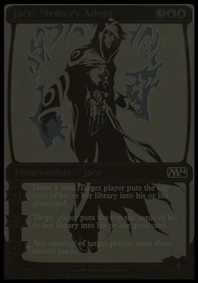 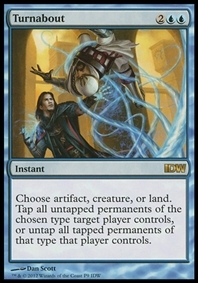 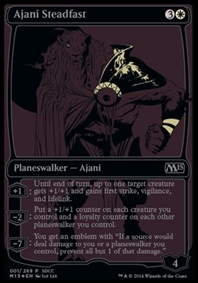 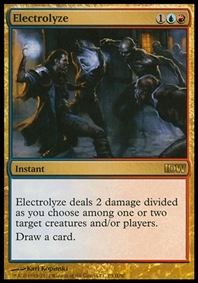 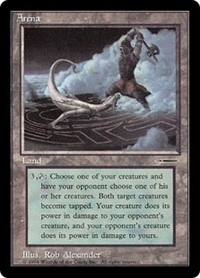 −10: Target player puts the top twenty cards of his or her library into his or her graveyard. 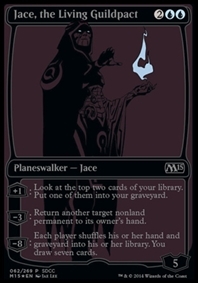 −8: Each player shuffles his or her hand and graveyard into his or her library. 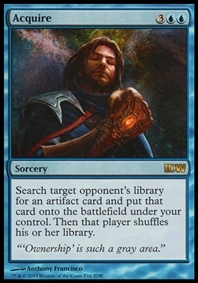 You draw seven cards. 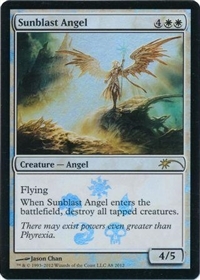 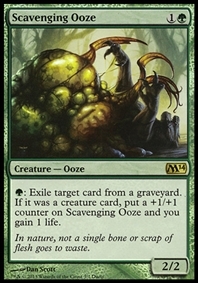 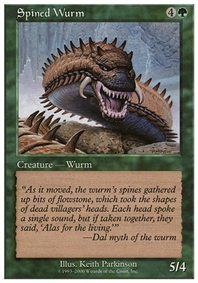 −3: Target creature gets +X/+X or -X/-X until end of turn, where X is the number of Swamps you control. 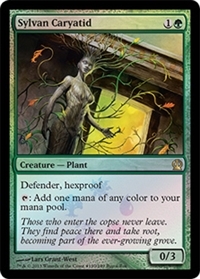 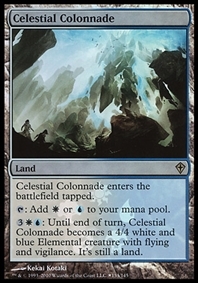 −6: You get an emblem with "Swamps you control have ‘T: Add BBBB to your mana pool.'" 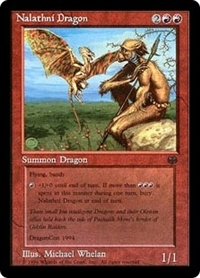 R: Nalathni Dragon gets +1/+0 until end of turn. 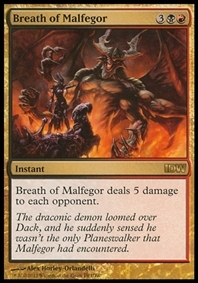 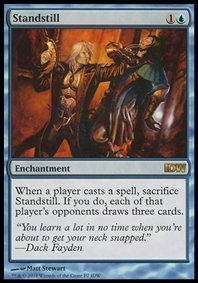 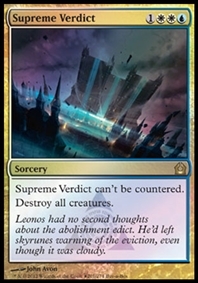 If this ability has been activated four or more times this turn, sacrifice Nalathni Dragon at the beginning of the next end step. 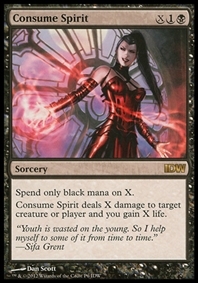 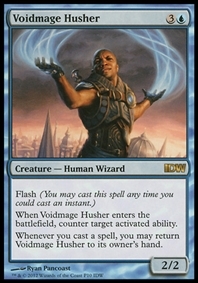 When Voidmage Husher enters the battlefield, counter target activated ability.